On August 3 Ziyad Raoof was a guest in radio broadcast „news of the day” in radio station “Maryja”. Main topic of the interview was third anniversary of the beginning of Yezidi genocide committed by ISIS. KRG Representative in Poland named Yezidi genocide as „one of the biggest tragedy of 21st century”. He stressed enormous cruelty of ISIS fanatics and reminded that they restore slavery in the Middle East. Ziyad Raoof noticed that tragedy of Yezidis is still going on because approximately 3400 people remain in ISIS captivity and tens of thousands people can not return to their homes because Shingal is ruined. 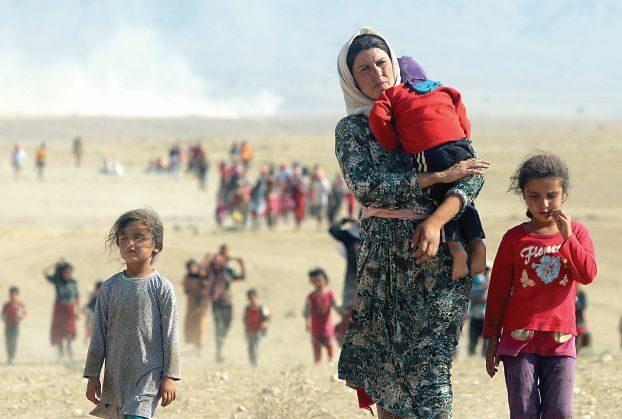 KRG Representative listed activities in favor of publicizing in Poland the truth about genocide: there has been submitted petition in Polish parliament about recognition of crimes against Yezidi as a genocide. Parliamentary legal experts and petition committee gave positive opinion about it. Currently this case is waiting for adopting position by Polish ministry of foreign affairs. There is also ongoing campaign for Polish humanitarian aid for victims of war. Asked about prospects for the final defeat of ISIS, Ziyad Raoof said that this is possible because terrorists are in retreat mostly because of sacrifices of the Kurds, but the victory will require combining many factors, not only winning land battles, but also overcoming fanatic ideology, cutting off delivery of weapons and money.